Born as Peter Gatonye Ngugi in Nairobi Pilipili hails from a family of six, four brothers and two sisters. He is the second born. As he was growing Pilipili seemed to be more interested in soccer more than music. He was even nick named "leftie" for his magical left foot which never let him down. Interestingly he was also playing for the successful youth side MYSA (Mathare Youth Sports Association) and had even been picked to go for international trials in Europe but missed by a whisker. On the side Pilipili also had keen interest in basketball and even represented his school in various tournaments. In his high school years, Pilipilis dream for furthering his football career came to a holt when he was involved in a school related car accident, hurting his left leg and getting doctors orders that totally restrained him from playing soccer or further damage his leg! This was devastating news for him! However, He could now concentrate more on his music career. In high school He was more into rap teaming up with fellow schoolmates to form a rap group imitating the likes of The late Tupac and B.I.G, Lost Boys with occasional melodious moments. But it wasn't until he cleared high school that he decided to pursue the launch of his professional music career. In His own words, He says "I ventured seriously in music in 2000 after finishing my O levels.I nurtured my talent in talent shows,jam sessions,variety shows and in clubs like Florida 2000, ZigZag, Jungles, Bubbles, Vybestar and others in some institutions.I got my first recording deal with producer CHRIS ADWAR of Next Level Studio. In 2002 I signed an album deal with TEDD JOSIAH of AudIo Vault Studio(currently in Blue Zebra Studio). He was my mentor and made me believe in myself.We only recorded four songs and unfortunately we never got to finish the album due to unavoidable circumstances. In 2003 I teamed up withThe late Gun B (R.I.P) and recorded a single NAMPENDA with OGOPA Djs. The song helped me discover my style in music. During the same year I worked on a single PAPASA with Clemo of CALIF RECORDS and in 2004 signed with CALIF RECORDS a three year recording deal. In the same year I released a hit song KAMATA DAME ft JUA KALI and it was a huge success. 2005 was the peak of my music career and thanks to GOD three songs ruled the airwaves i.e. MORALE ft RATATAT, UKIMWONA ft the late LADY S (I miss her her dearly, she was a sister and a friend,R.I.P.) off my debut album FUNGUA MLANGO. NI WEWE ft Mr.Boo had four nominations in CHAGUO LA TEENIES, one nomination in the GROOVE AWARDS and five nominations in KISIMA AWARDS in which I won three awards. This song was and still is a dedication to GOD for all HE has done, what HE is doing for me and what HE will do for me. To HIM am grateful. The better part of my 2006 was spent touring the USA and part of europe promoting my 1st album "Fungua mlango" which was a big success. 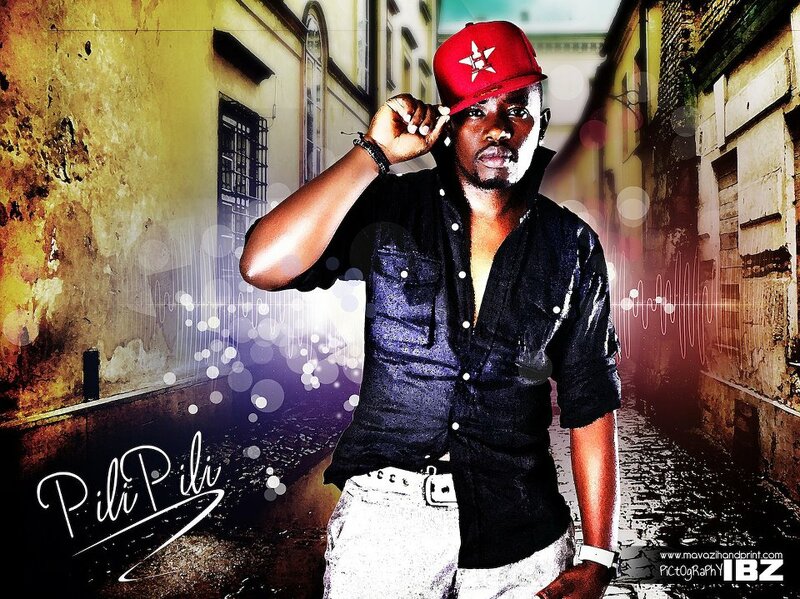 Upon returning I immediately hit the studio and recorded yet another hit song "mpaka che" featuring Jimwat. I have opened a recording label and an entertainment production house namely CHILLI Inc. PRODUCTION which deals with audio and video production plus artiste management. I believe in giving talent a chance and like the new crop of upcoming artists since they have blossomed to change the face and sound of monotony in the music industry. From CHILLI inc. I recorded a song that was well received "Twende ndani" feat Reina and I have collaborated with various artists including french boy in "sononeka" Mombasa Sudi boy in the hilarious "mteja" and I am in negotiations to work with various local and International artists.